This is a business for tall people by tall people. Are you frustrated that cars today are getting smaller and smaller? The majority of cars are NOT designed for people taller than six feet. ExtendMySeat offers seat extender brackets, which instantly provide drivers a minimum of three to six inches of additional legroom. 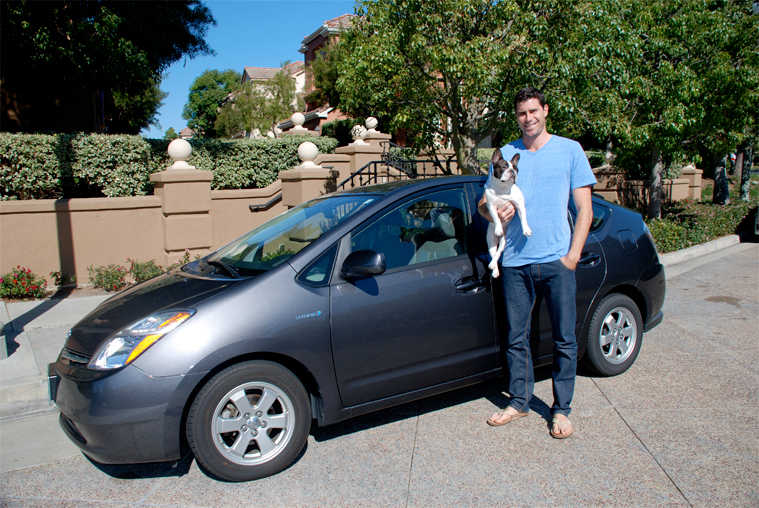 A 6’5” Prius owner who desired a solution for a better driving experience founded ExtendMySeat in 2007. Eager to have more legroom, Griffin searched the internet to find a solution; unfortunately, he did not have any success so he enlisted the help of a local fabrication shop to create custom extender brackets. The fabrication shop quoted Griffin over $2,000 for custom extender brackets. Determined to find a more economical solution Griffin decided engage a fabrication company and create a proto-type with the help of a 100 year old manufacturing company based in Los Angeles, California. ExtendMySeat has sold over 10,000 custom extender brackets worldwide, but more importantly, has provided a better driving experience for tall drivers. ExtendMySeat has been featured in SEMA news, Motor Trend and many other forums throughout the world. ExtendMySeat also holds 3 USPTO design patents. The ExtendMySeat fabrication process uses precise automotive engineering and state of the art manufacturing techniques. All brackets are laser cut from hefty, single sheet 10-gauge steel. All ExtendMySeat products are fabricated and shipped from the City of Industry in the USA. ExtendMySeat now offers extender bracket solutions for over 40 makes and models. Our office is located in Costa Mesa, CA and all of our products are manufactured in The City of Industry, CA. Please email us at sales@extendmyseat.com for any additional information or questions. Thank you for visiting ExtendMySeat.com and I look forward to making driving enjoyable for you.